The campaign set out to prove that although teeny tiny, its new electric car has the stamina to really go the distance. To demonstrate its ‘zippy credentials’, Smart took on the challenge of delivering a little happiness to doorsteps throughout Hong Kong. These little parcels of happiness included fun-sized versions of two of the most common delivery items, pizzas and flowers. 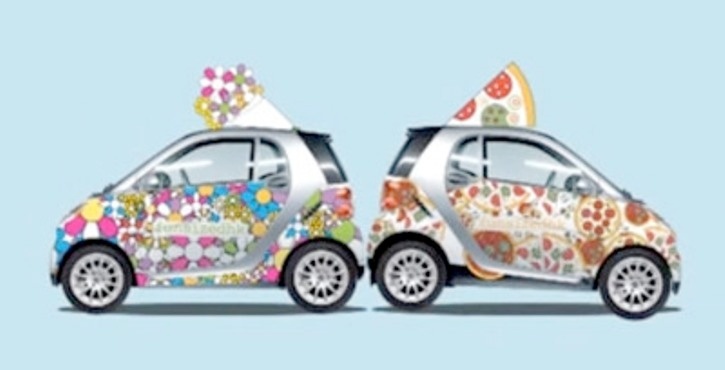 The experiential campaign began on April 1st, when treats were delivered to lifestyle magazine editors by a Smart Fortwo. Phase two was launched shortly afterwards, in which the brand created and directed people to its quirky Smart Fortwo fast food micro-site. Users could enter their details and select a free mini treat which was speedily delivered to their door by the new Smart Fortwo Electric Drive. On the same day, Smart’s Brand Ambassadors hit the streets for phase three, giving out hundreds of tiny treats to passers-by in exchange for their participation in a quick QR code activation. This latter phase also included a competition, which gave people the chance to win one of six two-day test drives. To be eligible to win, people were encouraged to share their delivery order on Facebook using the hashtag #funsizedhk, at one of six specific times. The first person to post at each given time won a test drive. The micro-sized vehicles were decorated to match the treat that they were transporting, which made the cars super photo-worthy and their images were captured with the aforementioned #funsizedhk hashtag across social media. 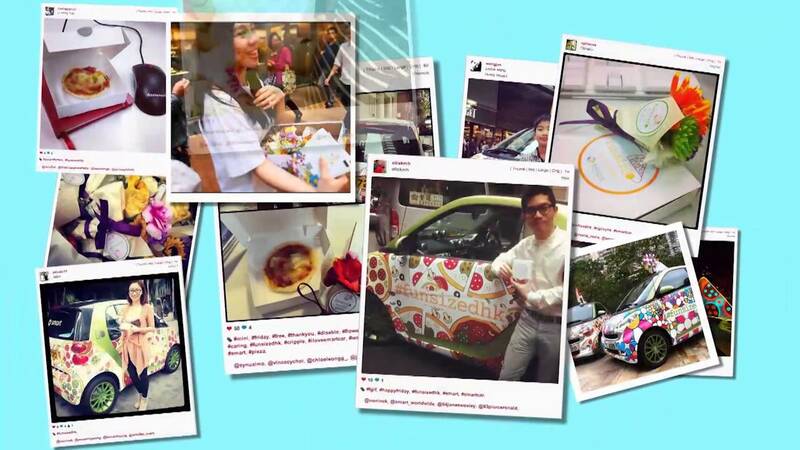 Subsequently, Smart’s brilliant experiential campaign reached 650,000 people in Hong Kong. In this experiential campaign from Smart, the new Smart Fortwo Electric Drive was brought to life with classic delivery items in a way that not only reflected the car’s personality, but resonated instantly with people in Hong Kong. 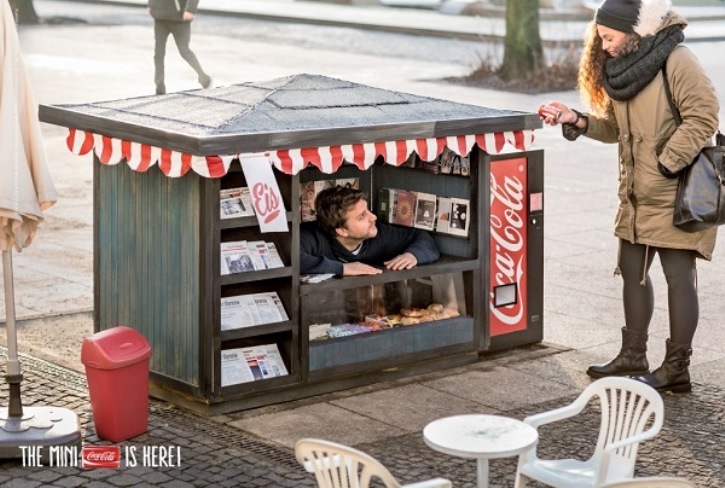 This week, we’ve also been talking about fun-sized experiential marketing campaigns over on the Marketing Society blog – did you see Coca Cola’s miniature kiosks?